Resetting your browser settings can be the easiest way to alleviate common browser issues such as slow performance, broken websites, and advertisements that are loading randomly. While uninstalling your browser may seem to be preferable, you can’t remove Internet Explorer and therefore resetting it is your best option to fixing common mistakes. 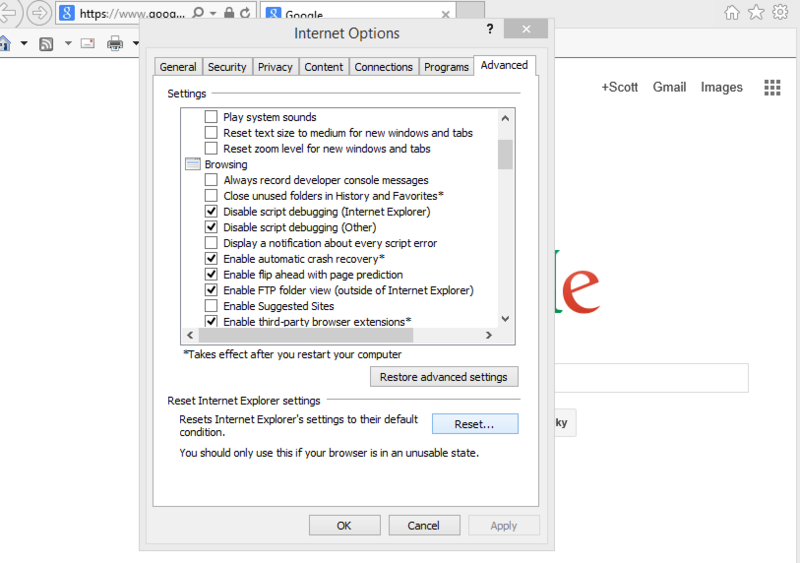 Google Chrome has an option that will reset it to its default settings. This will remove all extensions, personal data, and any files such as cookies, passwords, and other stuff. You can also find this page by pasting this into your search bar, chrome://settings/resetProfileSettings into Chrome’s address bar to pull up the rest browser settings page. This will remove all data accept your bookmarks and bookmarks which are all stored and are backed up to your Google Account. Firefox also allows you to reset it to its default state. To reach the menu click the help tab and select Troubleshooting information. Afterward click on the reset Firefox button. By doing so, you will lose your history, passwords, cookies, and other useless files. It will also remove all of your apps and extensions. However, you don’t actually lose everything instead Firefox removes the data and will create a folder on your desktop titled “Old Firefox data”. This way you still have your data, and if you don’t want it you are able to delete it from your desktop. Internet Explorer being the only browser on this list that can’t be uninstalled is also the most prone to receive annoying issues and malware. In order to do this, open Internet Explorer click the gear menu and select Internet Options. Click over to the advanced tab and click the Reset button at the bottom of the Internet Options window. Internet Explorer will give you a warning, but you can safely ignore the warning as it is simply there to prevent you from erasing your personal information. After resetting Internet Explorer, you will be prompted to restart your computer. After doing so, your browser should no longer have the issues that plagued it before.